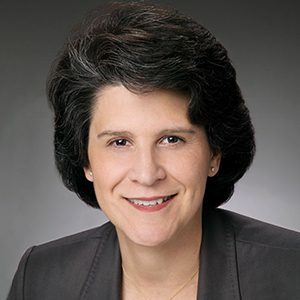 Elena Baca is chair of Paul Hastings Los Angeles office and co-vice chair of the Employment Law practice. Ms. Baca is recognized as a leading trial lawyer by many noted publications. She has been consistently ranked by Chambers USA and the Legal 500 as one of the top employment defense lawyers in California. Chambers USA has noted that her “litigation track record and outstanding trial victories stand out in the legal marketplace, due to both her sheer volume of wins and the ways in which these decisions are helping to shape future employment and labor law, particularly in California.” Clients have referred to her as “second to none.” Ms. Baca also has been selected continuously since 2006 as one of the Best Lawyers in America in employment law. She has repeatedly been named as one of California’s “Top Women Lawyers” and as one of California’s “Top Labor and Employment Attorneys” by the Los Angeles Daily Journal. The American Lawyer also recognized her in its “Top 45 Under 45” list. An experienced trial lawyer, Ms. Baca has established an impressive record of defense verdicts and arbitration wins representing a wide variety of corporate clients. Her litigation practice is primarily focused on employment related issues, such as employee mobility, wage and hour, and whistleblower issues. She is considered a “go-to” employment lawyer for many large employers with high-profile disputes involving high-level executives and contentious high-stakes litigation (including class action claims). Ms. Baca is frequently called upon to turn around cases that have been mishandled by other law firms and take them to trial. Her clients include talent agencies, entertainment companies, web-based services, financial institutions, medical technology and research companies, law firms, public utilities, major manufacturers, and leading consumer brands.